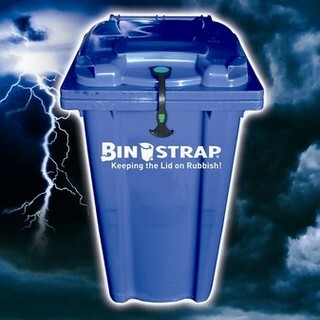 Whilst the introduction of brown bins in Ireland has been a positive initiative in so far as it allows us to easily segregate our food waste separately it has also had its drawbacks. Fruit flies, bin juice and bad odours emanating from the brown bin has been a problem for many residents. Indeed in some local authority areas people have even been known to send their brown bins back. The Irish designed Obeo helps to easily solve this problem and encourage waste segregation. Essentially it is a cleverly designed food waste box which sits conveniently on your kitchen counter top. Simply fill the Obeo with all your food waste and recycle out your brown bin and free yourself from the need to constantly cleaning and from bad smells. 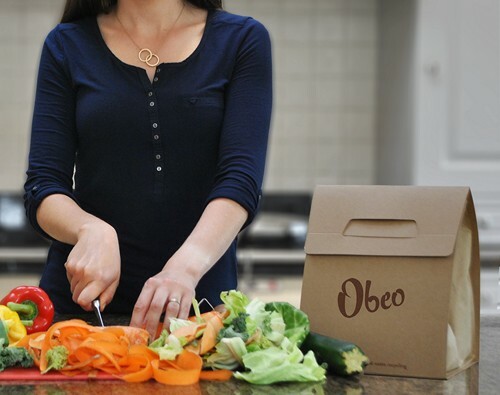 The Obeo is made from a wet strength paper so it completely eliminates the need for a plastic kitchen caddy which many people would commonly use to segregate their food waste. The breathable paper fibres ensure that the food waste will dry out. The cleverly designed integrated lid and closing mechanism meaning you don't get the bad odours that you often get with the bio plastic liners. Obeo - How it Works? 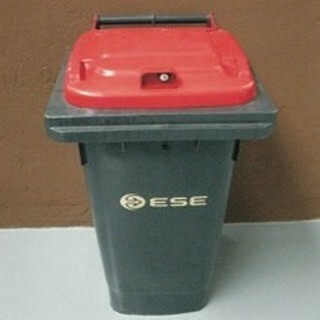 1: Place Obeo on kitchen counter top and fill with yor daiily food waste. 2: When full seal Obeo and place straight into outdoor brown bin. 4: Food waste is converted into nutritious compost used by farmers to grow new crops as opposed to going to landfill and damaging the environment. 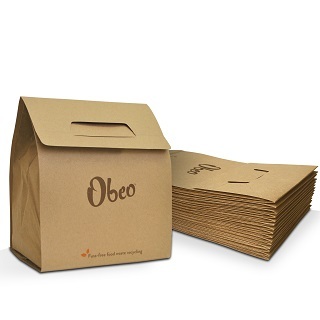 Each Obeo box will last the average household two to three days so the 10 box set should last up to one month. Bulk order the 3 month pack for discounts and also save on shipping fees.